App Review Network. Exchange reviews with other developers. Apple only. — Welcome to the GameSalad forum! 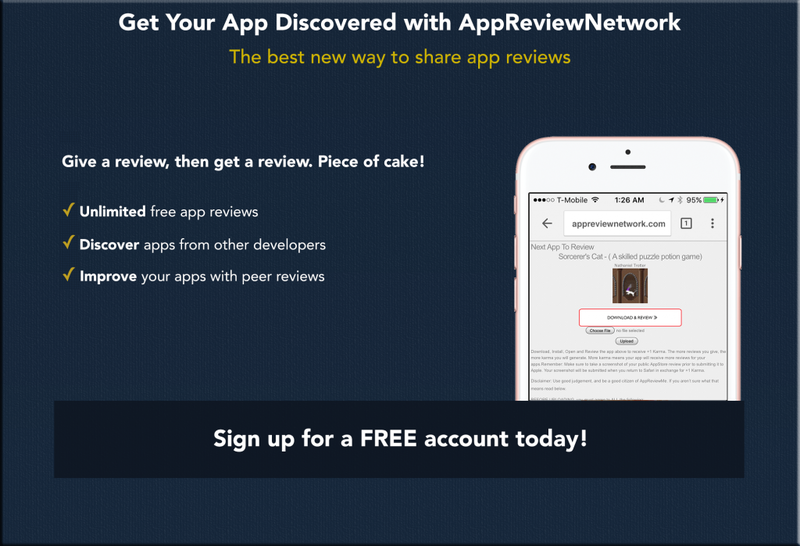 App Review Network. Exchange reviews with other developers. Apple only. I have seen review exchange websites that have come and gone. Some are no longer offering support. I have started this website because I see that there is a demand for reviews, especially for indie developers. This website is currently Apple only apps but if there is enough users who want a website for Google Play apps one can be made. Let me know if this is something you would be interested in. This post has been pre-approved. Looks cool. I'm gonna give a try when my game is out. Cool, I'll give it a try. Thanks! Thanks! Let me know if you have any questions! @RabidParrot Does this work for free games only? Yes, free only. If people have to pay for your app they will just skip it. No sure why you bumped a year old thread. Looking Good and Help full. Is that is free or Paid.